Being trained by digital marketing professionals in the world of advertising, I often find myself amused by the bloggers who I make contact with whenever I have a new project or campaign to launch. Bloggers plays such as important role nowadays to be able to push a brand's campaign out there. I for one, saw this opportunity and regretted that I did not start blogging back then, considering I love to write. One reason is that I wasn't able to enter a good market in the blogging world. There's just so much of everything and finding your niche is not an easy task. Until the day I found out that I was pregnant. I saw this opportunity and studied the motherhood blog industry - found only a few! And that's how Rookie Mommy Ph was born. Today, Rookie Mommy Ph is doing a wonderful job helping mothers solve their problems from pregnancy, to childbirth, to postpartum depression, to breast feeding, and even the little things we, as a new mom and parent don't know about. Thanks to my hundreds of loyal followers and supporters from different Facebook groups and forums. 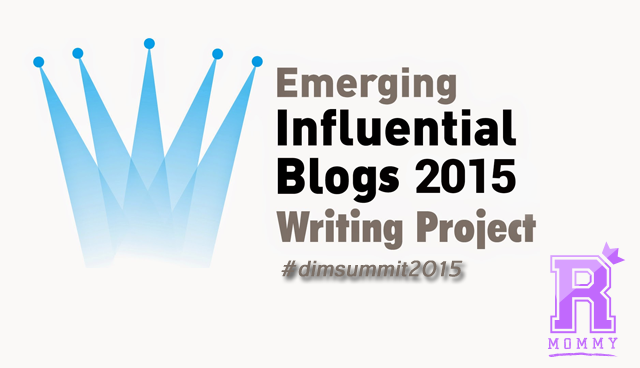 October 10, 2015, marks another exciting event for new bloggers just like me. 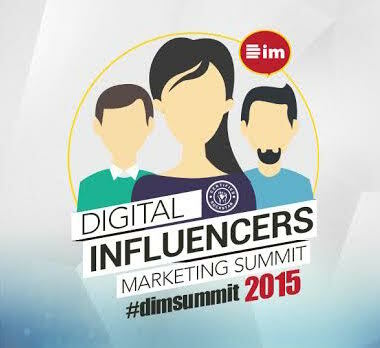 The most awaited Digital Influencers Marketing Summit is finally happening again and Rookie Mommy Ph is qualified to be one of the top emerging influential blogs in the Philippines for this year. Yaaay! Chef Jay's Kitchen - I'm a foodie so this blog has my vote! Most popular food blogs started with a great branding. And that's what Chef Jay's Kitchen has. I like how he created his branding and identity. For sure, this blog will go a long way! Personal Finance Tips - It's not all the time that I get to read tips about saving and the stock market. This blog is straight to the point and always relevant. Of Dreams and Things - I rarely search for fashion, beauty tips/hacks and make-ups but when I do, I want it simple. I hate site clutter and this blog gave light to my sight. Manila Concert Junkies - Just like any other concert blogs, this one has a lot of potential too. It is up to date and its entries are fun and easy to consume. Doctor Eamer's Blog - I am an aspiring self-published author and got more inspired when I saw how good this blog is. It is written in Filipino and attracts a lot of readers and commenters. Most of his stories are all about the matters of the heart which most Filipinos are a big fan of. TakeOff Philippines - Can be one of the few promising travel and foodie blogs out there. His way of writing his posts takes me directly to the paradise of his topic. Best of Negros Island - I've always wanted to visit Negros and this blog is on the spot! Super helpful with directions, destinations, and food features. Baby, Jet Set, Go! - Two things I love that I found absolutely adorable in this blog: 1. Travelling, 2. with their toddler. How lucky?! I wish I could do this with Arya. Pilipinas Daily - I always found news and lifestyle blog fun to visit. This blog is something to look out for. There you go! Do check out these awesome blogs and I'm sure you'll never get bored. Rookie Mommy PH - Good luck and have fun! 9 comments on "Rookie Mommy Votes For Top 10 Emerging Influential Blogs 2015"
I will. :) You're welcome! Thank you so much Rookie Mommy! I really appreciate the glowing nomination Rookie Mommy! Congratulations on winning as well, too bad I wasn't able to see you there and hear you talk about your blog. It's an honor to be a part of your list. You're welcome! I hope I get to meet you on other blogging events. :) congratulations as well!